A new mother in Bangladesh got quite a surprise last week: Less than a month after she had delivered a healthy baby boy, she returned to the hospital and delivered a set of fraternal twins, who, unbeknownst to her, had been growing inside a second uterus. Thankfully, all three children were delivered without complications. The double delivery was initially reported this week by the AFP. According to interviews with Sheila Poddar, the woman’s doctor and a gynecologist at Ad-Din hospital in Bangladesh’s capital Dhaka, the mom wasn’t aware of her unique situation until she was forced to seek medical attention for lower abdominal pain and got an ultrasound. “She didn’t realize she was still pregnant with the twins. Her waters broke again 26 days after the first baby was born and she rushed to us,” Poddar told the AFP. Women born with two uteruses aren’t unheard of. The formal name for the condition is called uterus didelphys. Estimates of how common it is are grainy, largely because many women experience no symptoms as a result of the condition. But it’s probably very rare. One 2011 review, for instance, estimated that 0.3 percent of women in the general population had two uteruses. Some afflicted women do seem to be at higher risk for complications while pregnant or at the time of delivery. In this case, though, the boy and girl twins were delivered successfully via cesarean section with no added difficulties. There actually have been case reports of dual pregnancies from women with two uteruses (and even from one who also had two cervixes). And the triple whammy isn’t unprecedented either, according to a 1981 case report. In that situation, the first two babies were delivered prematurely at 27 weeks, while the third took another 72 days to arrive. What makes this case especially notable is the lack of prior notice before the twins’ birth. According to Poddar, the mystery was one of human doing, not biology. 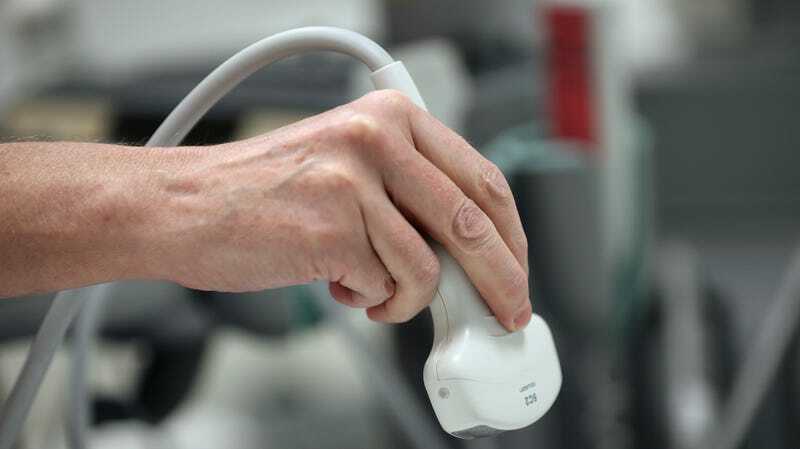 Doctors didn’t perform an ultrasound during the woman’s pregnancy, which would have caught the extra babies. Quirky as the woman’s story is, it has troubling implications. The lack of an ultrasound that’s standard practice in countries like the U.S. is indicative of the poor healthcare system in Bangladesh, and of the financial insecurity many of its residents face, especially those who live in rural areas. And though the woman and her three children were all able to leave the hospital in good health, she is nevertheless worried about being able to care for her new family, given her husband’s meager wages as a laborer. “I don’t know how we will manage such a huge responsibility with this little amount,” she told the AFP.